John Winston Ono Lennon, MBE (9 October 1940 – 8 December 1980) was an English singer-songwriter who rose to worldwide fame as one of the founding members of The Beatles, and together with Paul McCartney formed one of the most successful songwriting partnerships of the 20th century. Lennon revealed a rebellious nature and acerbic wit in his music, his writing, on film, and in interviews, and became controversial through his work as a peace activist. He moved to New York City in 1971, where his criticism of the Vietnam War resulted in a lengthy attempt by Richard Nixon’s administration to deport him, while his songs were adapted as anthems by the anti-war movement. 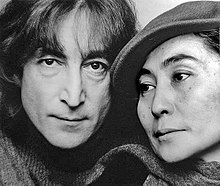 Disengaging himself from the music business in 1975 to devote time to his family, Lennon reemerged in October 1980 with a new single and a comeback album, Double Fantasy, but was murdered weeks after their release. Lennon’s solo album sales in the United States alone stand at 14 million units, and as performer, writer, or co-writer he is responsible for 27 number one singles on the US Hot 100 chart.a In 2002, a BBC poll on the 100 Greatest Britons voted him eighth, and in 2008 Rolling Stone ranked him the fifth greatest singer of all time. He was posthumously inducted into the Songwriters Hall of Fame in 1987 and into the Rock and Roll Hall of Fame in 1994. 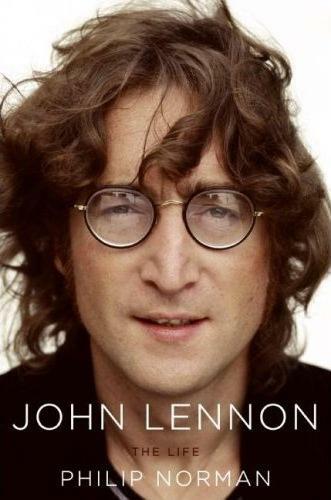 Lennon was born in war-time England, on 9 October 1940 at Liverpool Maternity Hospital, to Julia and Alfred Lennon, a merchant seaman who was away at the time of his son’s birth. He was named John Winston Lennon after his paternal grandfather, John “Jack” Lennon, and then-Prime Minister Winston Churchill. His father was often away from home but sent regular pay cheques to 9 Newcastle Road, Liverpool, where Lennon lived with his mother, but the cheques stopped when he went absent without leave in February 1944. When he eventually came home six months later, he offered to look after the family, but Julia—by then pregnant with another man’s child—rejected the idea. After her sister, Mimi Smith, twice complained to Liverpool’s Social Services, Julia handed the care of Lennon over to her. In July 1946, Lennon’s father visited Smith and took his son to Blackpool, secretly intending to emigrate to New Zealand with him. Julia followed them—with her partner at the time, ‘Bobby’ Dykins—and after a heated argument his father forced the five-year-old to choose between them. Lennon twice chose his father, but as his mother walked away, he began to cry and followed her. It would be 20 years before he had contact with his father again. Throughout the rest of his childhood and adolescence, he lived with his aunt and uncle, Mimi and George Smith, who had no children of their own, at Mendips, 251 Menlove Avenue, Woolton. His aunt bought him volumes of short stories, and his uncle, a dairyman at his family’s farm, bought him a mouth organ and engaged him in solving crossword puzzles. Julia visited Mendips on a regular basis, and when he was 11 years old he often visited her at 1 Blomfield Road, Liverpool, where she played him Elvis Presley records, and taught him the banjo, learning how to play “Ain’t That a Shame” by Fats Domino. Part of me would like to be accepted by all facets of society and not be this loudmouthed lunatic musician. But I cannot be what I am not. Because of my attitude, all the other boys’ parents … instinctively recognised what I was, which was a troublemaker, meaning I did not conform and I would influence their kids, which I did. … I did my best to disrupt every friend’s home … Partly, maybe, it was out of envy that I didn’t have this so-called home, but I really did … There were five women who were my family. Five strong, intelligent women. Five sisters. Those women were fantastic … that was my first feminist education … One happened to be my mother … she just couldn’t deal with life. She had a husband who ran away to sea and the war was on and she couldn’t cope with me, and when I was four-and-a-half, I ended up living with her elder sister … the fact that I wasn’t with my parents made me see that parents are not gods. He regularly visited his cousin, Stanley Parkes, who lived in Fleetwood. Seven years Lennon’s senior, Parkes took him on trips, and to local cinemas. During the school holidays, Parkes often visited Lennon with Leila Harvey, another cousin, often travelling to Blackpool two or three times a week to watch shows. They would visit the Blackpool Tower Circus and see artists such as Dickie Valentine, Arthur Askey, Max Bygraves and Joe Loss, with Parkes recalling that Lennon particularly liked George Formby. After Parkes’s family moved to Scotland, the three cousins often spent their school holidays together there. Parkes recalled, “John, cousin Leila and I were very close. From Edinburgh we would drive up to the family croft at Durness, which was from about the time John was nine years old until he was about 16.” He was 14 years old when his uncle George died of a liver haemorrhage on 5 June 1955 (aged 52). His mother bought him his first guitar in 1956, an inexpensive Gallotone Champion acoustic for which she “lent” her son five pounds and ten shillings on the condition that the guitar be delivered to her own house, and not Mimi’s, knowing well that her sister was not supportive of her son’s musical aspirations. As Mimi was sceptical of his claim that he would be famous one day, she hoped he would grow bored with music, often telling him, “The guitar’s all very well, John, but you’ll never make a living out of it”. On 15 July 1958, when Lennon was 17 years old, his mother, walking home after visiting the Smiths’ house, was struck by a car and killed. Deprived of the routine of live performances after their final commercial concert on 29 August 1966, Lennon felt lost and considered leaving the band. Since his involuntary introduction to LSD in January, he had made increasing use of the drug, and was almost constantly under its influence for much of the year.” According to biographer Ian MacDonald, Lennon’s continuous experience with LSD during the year brought him “close to erasing his identity”. 1967 saw the release of “Strawberry Fields Forever”, hailed by TIME magazine for its “astonishing inventiveness”, and the group’s landmark album Sgt. Pepper’s Lonely Hearts Club Band, which revealed Lennon’s lyrics contrasting strongly with the simple love songs of the Lennon–McCartney’s early years. In August, after having been introduced to the Maharishi Mahesh Yogi, the group attended a weekend of personal instruction at his Transcendental Meditation seminar in Bangor, Wales, and were informed of Epstein’s death during the seminar. “I knew we were in trouble then”, Lennon said later. “I didn’t have any misconceptions about our ability to do anything other than play music, and I was scared”. They later travelled to Maharishi’s ashram in India for further guidance, where they composed most of the songs for The Beatles and Abbey Road. The anti-war, black comedy How I Won the War, featuring Lennon’s only appearance in a non–Beatles’ full-length film, was shown in cinemas in October 1967. McCartney organised the group’s first post-Epstein project, the self-written, -produced and -directed television film Magical Mystery Tour, released in December that year. While the film itself proved to be their first critical flop, its soundtrack release, featuring Lennon’s acclaimed, Lewis Carroll-inspired “I am the Walrus”, was a success. With Epstein gone, the band members became increasingly involved in business activities, and in February 1968 they formed Apple Corps, a multimedia corporation comprising Apple Records and several other subsidiary companies. Lennon described the venture as an attempt to achieve, “artistic freedom within a business structure”, but his increased drug experimentation and growing preoccupation with Yoko Ono, and McCartney’s own marriage plans, left Apple in need of professional management. Lennon asked Lord Beeching to take on the role, but he declined, advising Lennon to go back to making records. Lennon approached Allen Klein, who had managed The Rolling Stones and other bands during the British Invasion. Klein was appointed as Apple’s chief executive by Lennon, Harrison and Starr, but McCartney never signed the management contract. At the end of 1968, Lennon featured in the film The Rolling Stones Rock and Roll Circus (not released until 1996) in the role of a Dirty Mac band member. The supergroup, comprising Lennon, Eric Clapton, Keith Richards and Mitch Mitchell, also backed a vocal performance by Ono in the film. Lennon and Ono were married on 20 March 1969, and soon released a series of 14 lithographs called “Bag One” depicting scenes from their honeymoon, eight of which were deemed indecent and most of which were banned and confiscated. Lennon’s creative focus continued to move beyond The Beatles and between 1968 and 1969 he and Ono recorded three albums of experimental music together: Unfinished Music No.1: Two Virgins (known more for its cover than for its music), Unfinished Music No.2: Life with the Lions and Wedding Album. In 1969 they formed The Plastic Ono Band, releasing Live Peace in Toronto 1969. In protest at Britain’s involvement in the Nigerian Civil War, Lennon returned his MBE medal to the Queen, though this had no effect on his MBE status, which could not be renounced. Between 1969 and 1970 Lennon released the singles “Give Peace a Chance” (widely adopted as an anti-Vietnam-War anthem in 1969), “Cold Turkey” (documenting his withdrawal symptoms after he became addicted to heroin) and “Instant Karma!”. As he was part of The Beatles you could say I have always been into the music of John Lennon and of course you would be right. However this section is deoted to his solo output from the last days of the group to his early death. It’s difficult to say when I actually first came into his solo stuff. I suppose looking back it was 2 singles that did it for me, Happy Xmas (War Is Over) and Mind Games. The first is one of if not the best of the Xmas singles. The second is a truly great song. The lyrics are great, the song has a great ‘hook’.